Get the Best Yard on the Block! Regular lawn care can be a chore that takes up your valuable time. You live in South Florida, where the sun shines bright and the grass grow thick, and its not easy to keep it in pristine condition. There is a lot of regular work and maintenance that it takes to make sure that your yard is looking it’s finest. That’s where we come in. You’ve got better things to do on the weekends than spend them sweating behind the mower, so let us take care of the dirty work! US Mow is an American owned and operated lawn service company that specializes in mowing, trimming, and landscape maintenance. We provide residential and commercial yard services that include mowing, trimming, cleanups and landscape maintenance, to keep your yard looking it’s finest. Get the Lawn of your Dreams! 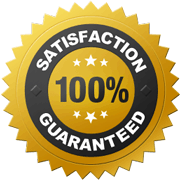 We answer the phone, show up, take pride in our work, and have a 100% guarantee on everything we do on your property! We are the service company you have been looking for to care for your property and make sure you have the nicest yard on the block. Regular mowing and maintenance is the key to making sure that you are not stressing about your yard, and we will work with you to develop a program that will fit your needs. If you are looking for the very best in lawn service, you’ve come to the right place. We will do what it takes to make sure that you are proud of your yard and our service! We can help you with regular lawn service like mowing, trimming, edging, and blowing. We can also help with Landscape Maintenance like hedge trimming, pruning, sodding, clean ups, mulching, and flower beds. Click here to learn more about our lawn care services! Whether you are interested in regular lawn care service, or want to rework the landscaping for the front of your house, we can help you put together a plan that will make your house stand out from the neighbors! Call us today at (954) 548-8135.